Science of Universe - For those who prefer complete wellness without any supplements!! For those who prefer complete wellness without any supplements!! Lahiri Mahasaya says that by just repeating the Babaji’s name with reverence one receives the spiritual blessings of Babaji. More could be gathered on the Yogavathar Lahiri Mahasaya from the book Autobiography of a Yogi by Paramahansa Yogananda 1998, p 292 – 295. Lahiri Mahasaya said, that “a devotee attracts an instant spiritual blessings” whenever he or she utters the name of Babaji with reverence. Babaji can be seen or recognized by others only when he so desires. He is known to have appeared in many slightly different forms to various devotees – sometimes with beard and moustache and sometimes without them. His un-decayable body requires no food, the master, therefore, seldom eats. I am forever grateful for all the wonderful blessings I have received from Beloved Maha Avatar Babaji, who is everywhere beyond time and space, beyond names and forms, who serves and cares for humanity and all creation, who hears the cries of the multitudes. Have faith - everything depends on faith. "Serving humanity is serving God. To love others is to love God." "I have come to give only. I have come to give Light and Freedom. Are you ready to receive?" I'm everywhere - in your every breath. I have come to help you realize unity beyond division. I will show you a freedom you haven't imagined. You must seek that unity from whence there is an awareness that we are all one. If you are in peace, I am in peace. If you are troubled, I am troubled. If you are happy, I am happy; so, be happy! The Highest power & happiness proceeds from Loving all. The Love is final word of bliss & peace. "Whosoever comes to me with love, then I will show him/her love beyond any thing imaginable." Love is the best of all. Everything we do has to come from love in order to flow and have our hearts' fulfillment. We are love, and One in God. God is Love. Love is God. And we are God (love). We are spirit (conscious energy) in the body, and Love (God) is our spiritual food. Everything in the universe is an expression of energy, and Love is the highest vibration. Only Love can heal all — body, mind, and spirit. And only Love can set you FREE. But in order to reach and experience that realization one must open one's heart to receive Divine Light and Freedom for God loves all Her/His children and creation unconditionally. God wants to help you to be free from suffering and illusions of misery and despair which mankind has created out of ignorance and fear. God will help you to fill your heart with love if you sincerely ask Her/Him. The divine healing love energy instantly do the work for you if you choose to open to unconditional love. You will receive healing and experience the most wonderful gift — inner communion with Divine, Love, Joy and inner peace, even personal messages from within. Love is the best medicine. We are linked as ONE, for we are the same ONE spirit emanating from God. Then I always pray for the person for the highest good, "Dear God, let your love and light be through her/him." with all my heart and sincerity. I always pray to beloved God (Babaji) for Her/His infinite love, wisdom, and blessing to heal people when I work with them. Beloved Babaji always works through me to help those who come with faith and an open mind to receive whatever they need. My energy of compassionate love (Divine Mother in me) and help from Babaji makes a perfect partnership. If we want to create better and happier lives for ourselves, then we must have the will to intend that. We have the power to change our reality by virtue of our firm resolutions and dedication in action (karma yoga). We can create the world we want — a beautiful, loving, and kind environment where everything operates by Love if we are strong enough to love. Strength and courage come from the LOVE and FAITH within ourselves. May Love prevail so that we may enjoy and appreciate everything life has to offer! Life is a sacred gift from God which allows us to grow, create, and to continue to love and honor ourselves for who we are — Love. Let us always think of Love, and let us always remember who we are — Love. "The Sanatan Dharma is the king of all religions. At the beginning of Creation it was the only (Way). Sanatan Dharma is like the ocean; other Dharmas (Paths) are like rivers — eventually they all merge into the Sanatan Dharma. They lose their separate existence." who invoke him on the spiritual plane, and they “hear” Babaji through thoughts, feelings, or visions. Babaji’s mission is to bring humanity closer to God, and to follow God’s will. 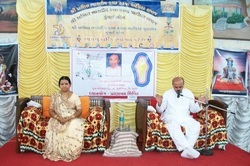 He encourages people to follow their own spiritual path, and says that all religions lead to God. He encouraged Yogananda to bring Kriya Yoga (which involves 18 yoga postures—also known as asanas or mudras) to the West. Kriya is known as a tool of enlightenment and may have helped spark the current popularity in yoga. Babaji wants to help you and everyone to experience peace and enlightenment. He is available to help you to purify your body (including overcoming addictions), simplify your life, and to practice self-honesty and forgiveness. He also beautifully helps us to detach from materiality, while simultaneously reclaiming our natural abilities to manifest all of our material needs. Babaji is the embodiment of non-judgment. He is heard in a child’s laughter. He is felt in the warm embrace of a trusted loved one. He is known in the moments of “Ah ha!” insights. He is lived when our actions are in sync with our true belief. Please know that you like everyone can call upon Babaji and receive his love and assistance. You needn’t be a natural “channeler” or specially trained in Eastern spirituality. Babaji loves unconditionally, and readily helps sincere seekers. He helps us strip away the veneer of ego fears, jealousies, and other restrictions. The words of Babaji’s messages are secondary to their healing qualities. Receive the gifts that he offers to you, without worrying whether you intellectually comprehend them. Babaji’s messages come from the place of emotions and feelings, and that is where they’re best received. Let his soothing energy reassure and calm your mind and heart, and support your experience of true peacefulness. The glory of the name of Babaji can not be established through reasoning. It can certainly be experienced through faith, devotion and constant repetition. Have reverence and faith for the name of Babajil. Do not argue. His name is filled with countless powers. Just as fire has the natural property of burning things, so also the name of Kriya Mulaguru Babaji has power of burning the sins and desires. O Man! Take refuge in His name and crost this FORMIDABLE OCEAN of birth and death. Name and Nami are inseparable. Glory to the Lord and Master - Babaji. Glory to His Name. In this Kali Yuga (Iron Age) Japa alone is the easiest way to the realization of God. Do Japa of your Ishata Devata mentally with its meaning and right Bhava. You will realize the spiritual benefits. All mantras have equal potency and power. 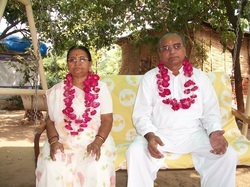 You can attain God-realization by doing Japa of any Mantra. Valmiki attained God-consciousness by repeating even Mara-Mara. The Japa of a Mantra can bring to the practitioner realization of his highest goal though he may not possess knowledge of the meaning of the Mantra. Such mechanical Japa may take a little more time in realization than when it is practiced with a knowledge of the meaning. There is an indescribable power of Achintya Shakthi in the Mantras. If you repeat the Mantra with concentration on its meaning, you will attain God-consciousness quickly. Form a strong habit of repeating the name of Babaji - it will take you up to the Himalayan heights. 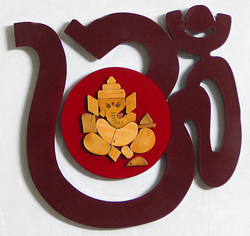 "Aum Brahma, Vishnu, Maheswaraha, Swadanthi Mantra Devata: Susena Napala Rakshaka; Hari Aum Phat Swaha". This is a sacred Guru Mantra and Kavacham (Shield) which I am sharing with one and all of you, good readers, in accordance with the mandate of Kriya Babaji. Chant it and you will be worlds better. Aum Shanthi, Shanthi, Shanthi! Glory to Babaji! Love and serve all humanity. Be a dynamo of irrepressible joy. and no sinner without a future. let them out of your life. Take courage again and again. Do not imitate; be strong, be upright. Do not lean on the crutches of others. Reveal them to the world. Wisdom, too, is already within you. Let the Lord's grace set you free. in silence, it speaks the language of fragrance. Mahavatar Has Told Us: “I have given different disciples diverse Yantra diagrams throughout time. We will explain how my Yantra has evolved through time even as mankind has evolved. Knowledge has exploded in the last 50 to 100 years as you know. While we are in the ending stages of the Kali Age, we are merging also into the next age or Golden Age. Through this merging much knowledge is arriving into our awareness as man moves from the head to the heart. Presently, it is our job to take this knowledge and embrace wisdom from it by placing it into our lives at the highest level of Divine Love as your Guru teaches. Mankind's process of merging from one age to another is reflected in my Yantra as it applies to my evolving mission on Earth. 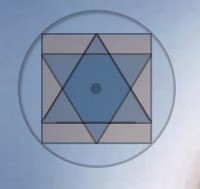 The colors of Babaji’s Yantra, as we have pictured them, are not meaningful in themselves, they simply were the colors used on Babaji’s book cover, “Unity With The Divine”. It is the Sacred Geometry of the Yantra that creates a vortex of cosmic energy that resonates and provides a sacred geometric diagram of Babaji’s mission on Earth. 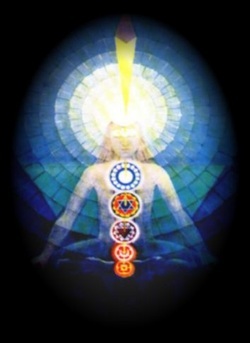 Maha Avatar Babaji’s yantra is a graphic representation of his evolving mission to Earth. The yantra represents the Oneness Vibration of Love Divine that Maha Avatar Babaji exemplifies and teaches his disciples how to remember, to become. Yantra definition: A yantra is a symbolic geometric spiritualized design usually pertaining to a particular deity; ritual diagrammatic representation. It is a vortex of cosmic energy that continuously transmits energy from within itself. Large outward Circle: Represents Cosmic Awareness; all that is, The Divine--God. The circle depicts the unlimited nature of creation without beginning or end. The circle symbolizes the limitation that mankind perceives and lives and does indeed exist within the unlimitedness of All That Is—God. Therefore, Babaji has come to assist humanity in perceiving beyond his limitations through striving for Cosmic Consciousness or Enlightenment, the unlimited. Square: The square is equivalent to the point beyond Earth’s density where Cosmic Awareness meets Earth’s density. 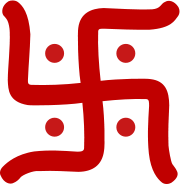 The four Vedas are represented in the square as Maha Avatar is Master of the Vedas. All the Vedic knowledge and wisdom resides in Babaji, without limit. Six Pointed Star: The star consists of two sacred geometric triangles. The downward pointing triangle represents humanity’s divine opportunity to merge with Cosmic Consciousness through the descent of The Divine Avatar to Earth’s density—Jagadguru Maha Avatar Babaji. The upward pointing triangle represents the inherent divine gift of humanity’s ability to strive to reach Cosmic Consciousness—Enlightenment, Self-realization, God. Sphere in middle of Six-pointed Star: The circle represents The Divine Heart from which everything originates and flows outward to the Star, The Square and the Circle of Cosmic Awareness, All That Is—God. "I am with you always. I shall intercede on your behalf." "According to the traditional Hindu Sanatana Darma (The Eternal Law) system, all human beings are classified into different categories, as Jnanis, Yogis, Sidhas and Avatars. This classification is mainly based upon the spiritual attainments of the individuals. 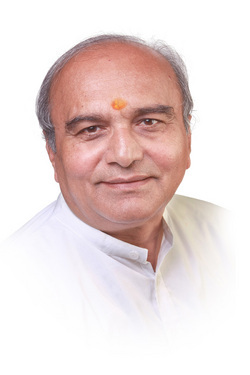 "A Jnani is a highly learned person who is proficient in Vedas, Shastras, etc. He is an ocean of knowledge and can give sound advice for any day-to-day problem based upon his knowledge. A Yogi is one who has attained certain spiritual powers like ability to go Samadhi for long length of time and to telepathically communicate to far off distances. 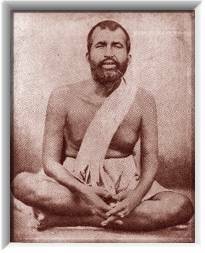 To attain this stage, one has to be not only a Jnani but also should have practiced various forms of Yogas including Meditation and Penance. Yogis have perfect control of their body, to such an extent that they can stop breathing for hours together. They can even levitate above ground. When a Yogi attains high level of spiritual plane, he becomes a Sidha. A Sidha can perform very sophisticated miracles like disappearing and appearing at various places, curing persons of their ailments and materializing things from no where. "Above all theses stages are the Avatars who are basically incarnations of various Gods. Even though they possessed same form and behave totally like other human beings, they are much above other classes of humans. 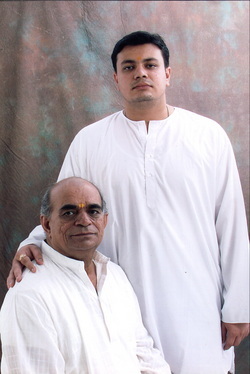 Just as for one qualified technician it is necessary for him to recognize another technician, only spiritually advanced people like Yogis and and Siddhas will be able to recognize Avatars. "Avatarpurushas can not only have full control of their own mind and body but also on those of others. For normal people it is only the full and sincere devotion that can give them ability to recognize and understand Avatarpurushas. These Avatar-purushas would have many holly and auspicious marks on their bodies. At times they cast no shadows or would not have left any footprints while walking. Their actions are not limited to small set of people, but meant for the entire mankind. Among avatars are some Mortal and a few Immortals. The former one leave their body at the end of their mission while the latter maintain their bodies throughout the time. While Rama, Krishna etc., belong to the former group, Hanuman and Baba Gorakhnakh belong to the latter. Even though the immortal ones maintain their bodies, they stay in visible form by their Yogic powers. Normally the mortal Avatars are incarnations of Lord Vishnu while the immortals are of Lord Shiva. "The drama of creation is enacted many by the above classes of actors. The basic theme of this Drama is the gradual expansion of sin and evil in the world at certain stage get reduced by the destructions caused by an Avatar for the sake of establishing Truth and righteousness. As life gradually evolved from Aqueous stage to Amphibians and humans, at every stage of evolution an Avatar descending in the world to destroy evil forces which had multiplied to a great extent in that stage. These Avatars are mainly incarnation of Lord Vishnu. Thus Lord Vishnu incarnated Himself in the form of a fish (Matsya Avatar). During the Aqueous stage of evolution, as tortoise (Kurm-Avatar); during the Amphibian stage of creation, in the form of Man-Lion (Narahsimh-avatar), during the transition period of animal to human stage of evolution, in the form of Dwarf (Vamanavatar) during early of stage human evolution. During every stage of evolution the sins and evils increased in intensity and were destructed by an Avatar to a Great extent. However, after a repetition of these cycles a stage arises when the sin and the evil grow to such enormous dimension that it become beyond the capacity of normal Avatars to control that. At this stage of Mahavatar (Super Avatar) appears on the scene for the establishment of Truth and guide humans into the righteous path. This Mahavatar is basically incarnation of the director and of the Drama of Creation, who is called in Hindu Mythology as Samba Sada Shiva. Like a true Director He is always present but stays behind the scenes and would be prompting occasionally the various actors. Only a few of the actors get the opportunity of coming into contact with him during their lifetime. We in India are very lucky that Sadhas Shiva has been with us and is now gradually coming into public. He has been confining his appearances mainly in Himalayan region, which is the abode of Gods. He is mostly called by simple name "Babaji". However, there many other names by which the devotees have been addressing Him like Tryambak Baba, Mahamunindra, Avadhoot Baba, and Mahavatar Baba. As he is mainly residing in Haidakhan, He is widely known as Haidakhanwale Baba. "In this book an effort has been made to compile the known and recorded historical facts about Him as well as His various Lilas (marvels). It is humanly impossible to understand Him completely and write about Him as no human being can reach to a level anywhere near to Him. Only by his grace can one realize Him and understand Him to some extent. This grace can only be acquired by devotion, which in turn has to evolve from faith. Faith for normal human beings like is developed mainly from super natural experiences one gets from Him."